May | 2011 | YesBiscuit! Thanks for your letter and for believing in Memphis . For the sake of accuracy, I have never said things are “swell” at the Shelter. 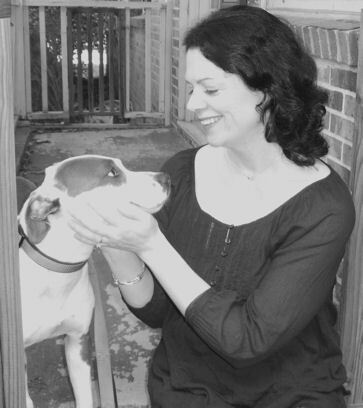 I have never disparaged any person who spoke out about the Shelter. Rather than make your inaccurate comments the focus of my efforts I will continue to strive to make things better at the Shelter. I will, however, reiterate that we will never be able to build a shelter large enough or hire enough folks to counteract the dastardly effects of irresponsible pet owners. IN any event, thanks for writing. Please allow me to be blunt – uh, bluntER – if you have sincerely been striving to improve MAS for more than like, an hour, I gotta say – you need to admit failure and hand the reins over to one of those action type people. Because your striving has kept MAS in the ditch it was in when sheriff’s deputies raided the place in 2009. Oh and while you “strive to make things better”, you might want to lose the attitude that you’ll “never” be able to shelter pets from irresponsible owners. 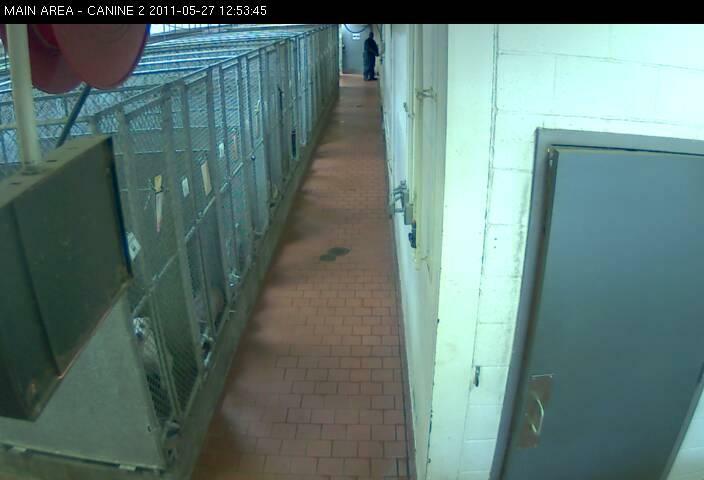 If you and your city’s shelter can not provide care for pets surrendered by irresponsible people – what are taxpayers paying for exactly? Memphis deserves a shelter that can care for these pets and all the other pets in need as well. “Irresponsible pet owners” are the minority in this country. The majority of pet owners love their pets, consider them part of the family and try to do right by them to the best of their abilities. These people represent the solution to your problems. Quit belittling them. Lose your defeatist attitude. Start thinking in terms of what’s possible. No kill is not only possible, it’s happening in shelters all over the U.S.
We are a humane society and we don’t want to see healthy/treatable pets killed. Join us. A webcam watcher nicknamed this dog "Curious" because he often seemed to be looking at the camera. "Curious" looks like a good dog to me. It's such a shame that MAS does not allow the public to view the stray areas when looking for a pet. Somebody might have liked to take him home. Thanks for your note. I will look into your suggestion that we open the “stray” area. I know that it has been explored in the past and found not to be feasible and safe. Additionally, I have already initiated internal discussions on a “no kill” policy. As I am certain you understand, such a policy would have wide ranging ramifications in Memphis since we have no restrictions on the animals we accept. 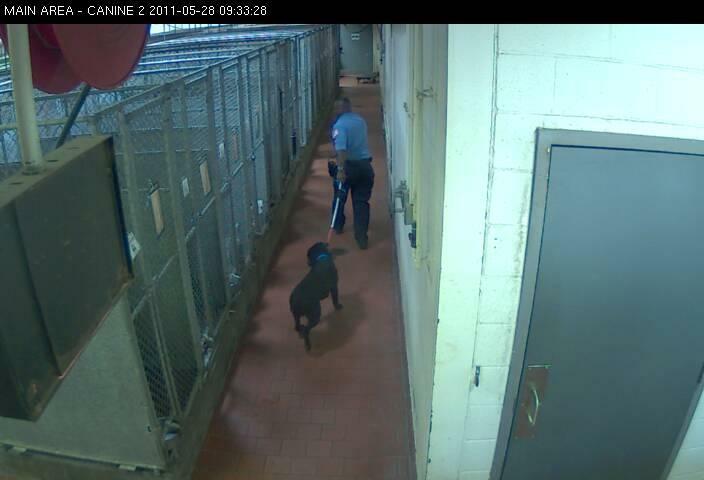 I wonder what the many shelter directors across the nation who allow ALL their dogs to be viewed by the public (save for obvious exceptions such as illness), would say regarding the idea that this practice is neither feasible nor safe in Memphis. What’s so unique about Memphis? I mean, besides the seething hordes of irresponsible pet owners of which the mayor and the shelter continually remind us. Discussions of no kill. What is that, people sitting around a box of Krispy Kremes, waxing rhetorical about how no kill is never going to happen in Memphis because of the damned locals and their dastardliness? Your tax dollars at work. Dina Garcia’s family was providing care for 2 mama cats and 10 kittens who were living near their place of residence in Texas. Their landlord asked the family to remove them from the property. Mrs. Garcia asked friends if they would like to have a cat but some already had cats and others were allergic. She let teachers at her son’s school know about the cats in need of homes too. 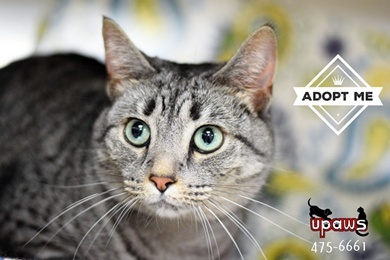 Ultimately, she was unsuccessful in placing any of the cats and didn’t want the population to grow out of control so earlier this month, she took them to a local shelter she was familiar with via its advertising. “I wanted them to have a home,” she said. When she arrived at the Harlingen Humane Society, the staff met her and her husband in the parking lot. They never went inside. “The people looked like they were bothered. They asked 3 times for a donation.” She explained that she was not in a position to make a donation at that time but would make one after her husband got paid later in the week. One of the mama cats scratched a staff member and ran away. (I guess it’s not such a good idea to take pets from people in your parking lot after all.) The staff took the remaining cats and advised Mr. and Mrs. Garcia that they would only be given 3 days before they were killed. The Garcias were very upset but did not know what else to do at the moment so drove home. Mrs. Garcia called her sister in Austin as she was very distraught. Her sister made some calls and found a local shelter willing to accept the cats for rehoming. The Garcias called the Harlingen Humane Society to ask if they could pick up the cats they had dropped off a few hours earlier. They were advised that all 11 cats had been killed because 3 of the kittens had eye infections. The Garcias were extremely upset. Mrs. Garcia explained that she had taken them to the shelter because she thought they would be vaccinated and adopted out – not killed. 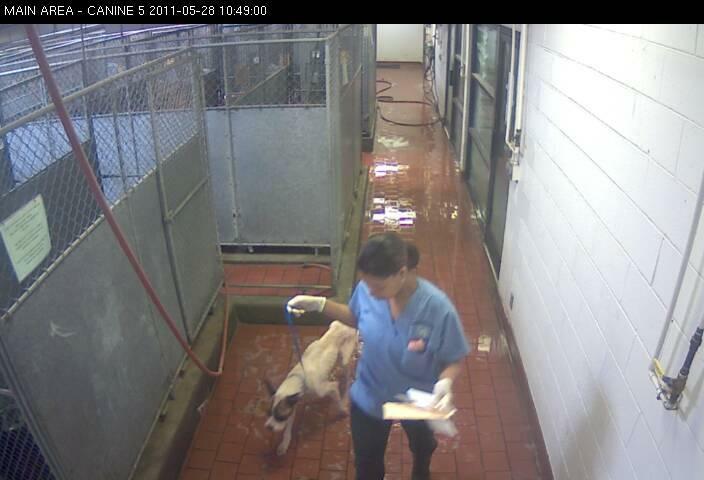 “It’s supposed to be a humane society,” she said. I did speak to the gentleman that dropped the cats and kittens off. I did inform him that they had been euthanized. When they signed over the cats and kittens as the owners earlier in the day they were advised that the outcome could be euthanasia. They signed the card and left them here anyway. They didn’t say they would be back and if they did they would have been advised to keep them.We have a high volume of intake and not a lot of space. Unfortunately we could not keep them. Several of the kittens had eye infections and we do not have a vet on staff nor the resources to cure them. We do not have many foster homes for cats. Maybe 2. Even I took a kitten home to bottle feed 2 weeks ago. Several of our kennels would have to have been opened meaning that healthy adoptable cats would have to be euthanized. It is a hard decision to make but it was made. We face these kind of decisions every day. There aren’t a lot of resources in this area and people continue to allow their cats to breed and when the kittens are to much to handle they bring them here along with their mothers. We opened a low cost spay/neuter clinic in April last year and we are trying to get the word out about spaying and neutering. When someone brings in a litter and they will be keeping the mothers or fathers we let them know that we will take them but in return they need to fix their pet so that we don’t go through this a few times a year. It isn’t easy or something that we want to do and we don’t take any kind of pride in knowing that many of these pets are put to sleep. Who diagnosed the eye infections and how many kittens had them? Why were the mother cat and the other kittens who didn’t have eye infections killed? We do not have a vet on staff. 4 kittens had signs of eye infection and the choice was made for the entire group to be euthanized. As a public shelter those kinds of decisions are made daily. Owners and citizens surrendering pets are advised of this and are given the option to not drop them off at all. Many of them just leave it up to chance. Since HHS has a low cost neuter clinic and is “trying to get the word out”, I asked Mrs. Garcia – who would obviously be in the target market – if anyone from the shelter had told her about the clinic. She said they had not. In fact, she was surprised to learn that there was a low cost neuter clinic in her area. Mrs. Garcia told me that her 13 year old son is still looking out for the mama cat who escaped in the shelter’s parking lot, hoping she’ll return home. Big news in Justice for Bella Land: Cabarrus Co, NC is now officially a “proactive adoption community”. Attention Pitbull type dogs in Miami-Dade: You must be at least this tall percentage to ride this ride suffer discrimination. The Associated HS of Newark, NJ has failed two surprise inspections from state authorities but when the TV news showed up unannounced, they found the place in good order. “He wasn’t being aggressive but it was becoming dangerous and we had no option but to have him destroyed. McDowell Co, NC: This article runs through some complaints county residents have against ACOs and their lack of response to calls. One man says his neighbor kept a Lab in a filthy cage 24/7, with no shelter from the summer heat and inconsistent access to water. 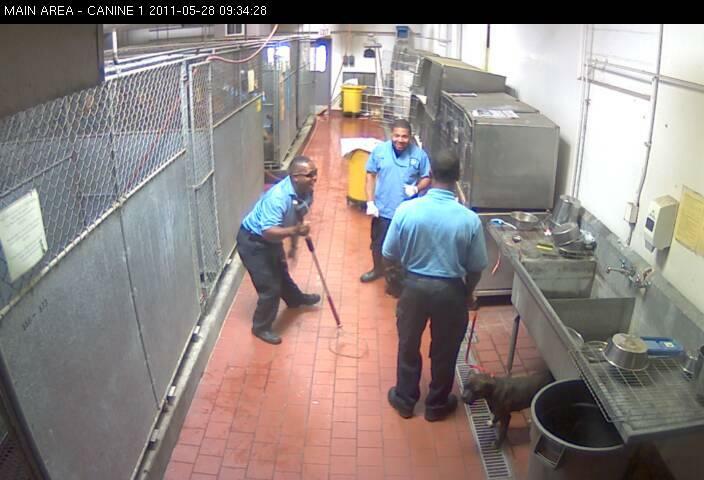 The man contacted AC about the dog but nothing was done. The sheriff says that ACOs can only judge whether an “owner is meeting the minimum standards”. Rescues pulling dogs from out-of-state shelters should follow the laws regarding pet transport for every state on the route. This means obtaining health certificates and age appropriate rabies vaccinations for each dog on the transport. Rescuers need to be especially careful when pulling puppies as they are more vulnerable to the common deadly shelter diseases such as parvo and distemper. And if a rescue group is pulling twenty-seven puppies from a shelter on a single transport – that’s twenty-seven times the need for careful attention to the law. Parvo and distemper both are very contagious and the potential for death is high. Supportive veterinary care is too expensive for many rescuers, especially when the chances for survival are limited, at best. Even if the pups look ok at the time of pick-up (and granted, this can be tricky as pups might be scared and not acting normally), the vet exam for the health certificate will get the rescuer a professional opinion on whether the pup appears to be free of disease. The shelter should provide details on any known exposure and this information should be given to the vet performing the health certificate exam. But let’s say, whatever the reason, rescuers don’t follow the law and obtain a health certificate for their shelter pups being put on a transport. What’s the worst that could happen? For starters, any pups who are harboring contagious diseases could infect all the other dogs on the transport. Subsequently, every dog coming off the transport may have been exposed and may infect other dogs at their final destination. Furthermore, if a rescue group pulls twenty-seven puppies and only gets them vetted once they have arrived, they might find out that most of the pups have parvo and be forced to euthanize en masse or beg for $20,000 to help cover vet bills. I am all for treating sick pets who are not medically hopeless. At the same time, I am also for following the law and spending donations from the public wisely. The Barkley Foundation, a rescue group in Iowa apparently failed to follow the law for bringing twenty-seven puppies from a NC shelter into their state. Upon arrival, it was determined that most of the pups had parvo. The group proceeded to post on Facebook and set up a ChipIn for $20,000, stating they might have to close their doors and/or euthanize the sick puppies. The Examiner picked up the group’s story as well. Everyone appears to feel sorry for the rescuers because they were trying to do the right thing and then this bad thing happened to them. Well, no. 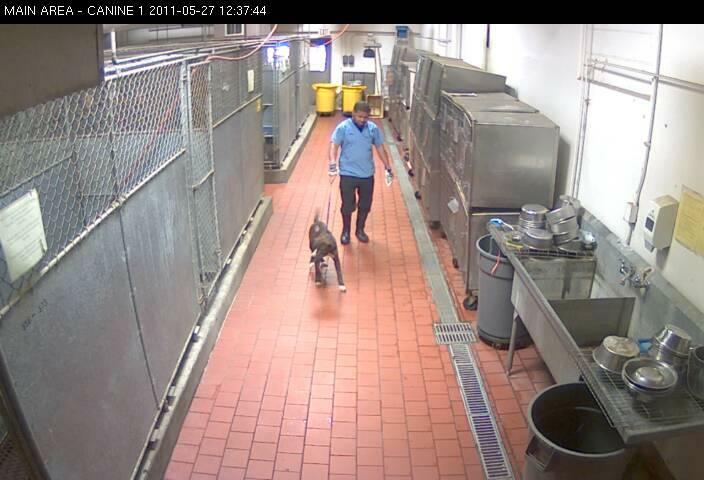 In my view, they failed to follow the law and transported sick pups across state lines. Now they want people to donate $20,000 to help pay the vet bills for this group of pups who never should have been transported in the first place. If donations had been spent on obtaining the health certificates before embarking on the transport, the vet may well have deemed at least some of the pups unfit for travel, refused the health certificates and cautioned rescuers about exposing other dogs. Imagine how many healthy/treatable shelter pets could be helped for $20,000. It boggles the mind. If this rescue were to shut its doors, would that be such a bad thing? Thank you Kim for alerting me to this story. This little one made her own fun yesterday at MAS. They are not listed online nor housed in the small area accessible by the public for adoption. MAS kills 77% of the pets in its care. If you would like to inquire as to whether a dog here is available for adoption/rescue, please e-mail the shelter directly and attach the photo to your e-mail. I like this incoming dog because she appears calm in the midst of what must seem like chaos to any dog. Lovely markings on this dog who appears to be underweight. This shelter’s 2010 kill rate was 77%. Memphis Mayor AC Wharton says that things at MAS are swell and he has every confidence in shelter leadership. I’m sorry Mr. Mayor, but I just can’t reconcile the daily images of needless killing at MAS with the words “every confidence”. But I still believe in Memphis. I believe in the kind-hearted people of the city who care about pets – the same ones you and your city leaders disparage at every turn. They are not the reason MAS has problems – they are the solution to those problems. Believe. 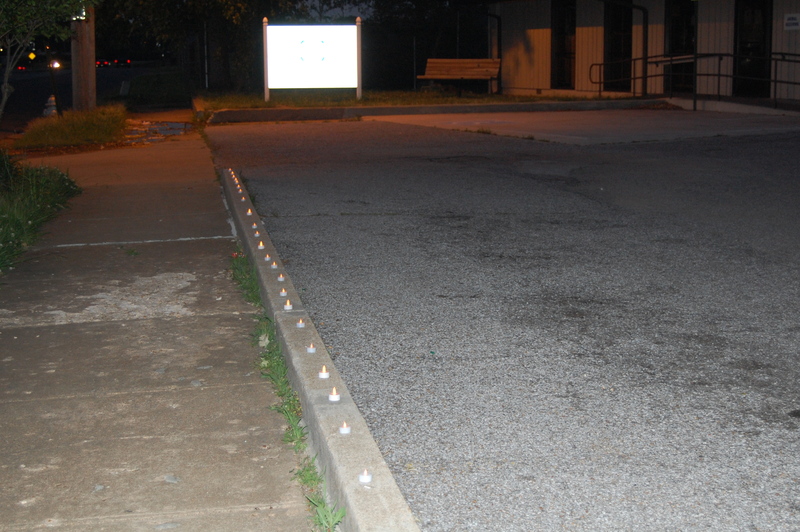 A local resident lit tea lights at the shelter last night, in memory of the pets killed by MAS and in tribute to those still suffering within its walls. More tea lights at the shelter. 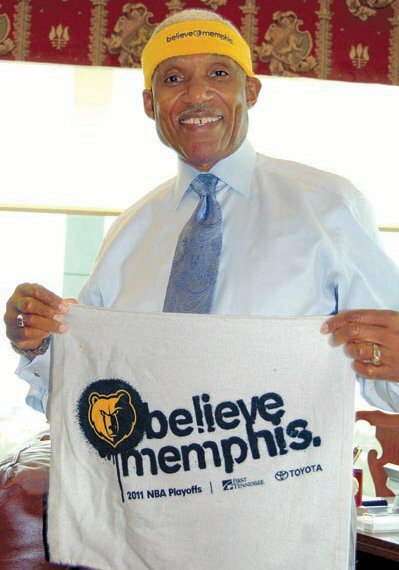 THIS is what I believe in Mayor Wharton. 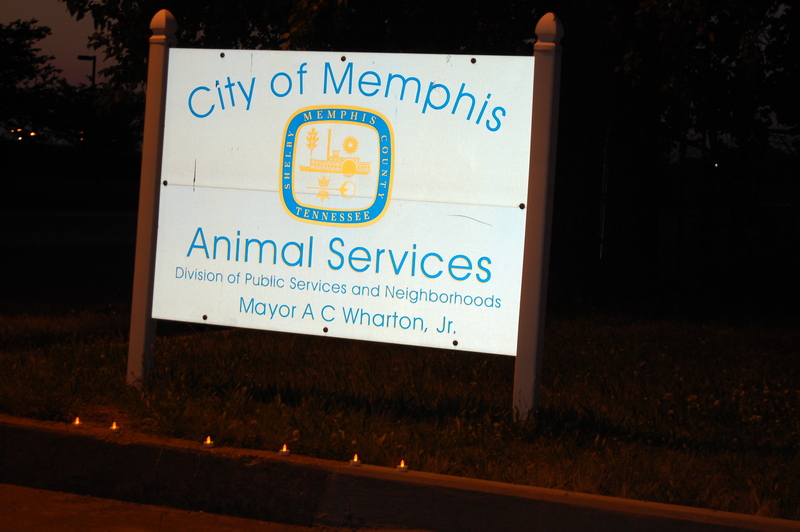 This post is for anyone who would like to share a prayer, quote or some words of your own to express why you are lighting candle for the pets at Memphis Animal Services tonight. 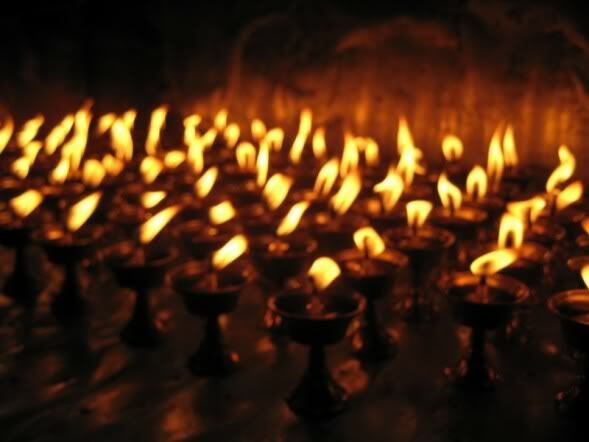 You may participate by lighting a candle at home and/or lighting a virtual candle here. 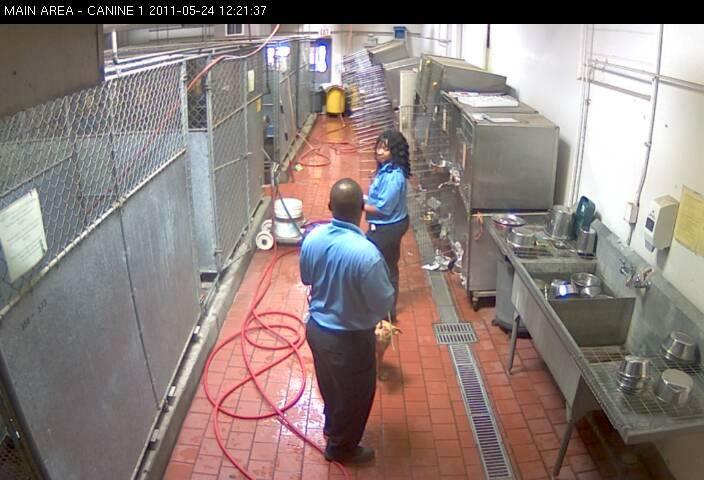 On the way to the kill room, a worker pauses for a brief exchange with a co-worker. The dog listens. If you click on the photo to enlarge, you can clearly see the dog’s face. She is being taken to die by someone paid to protect her from harm. We don’t know what she may or may not be aware of but many dogs balk at this point on the last walk, presumably smelling death and sensing betrayal. This dog does not balk. She watches her person intently and patiently while she listens. She trusts. This is why the killing of healthy/treatable pets anywhere is unacceptable to me. These animals are pets, created by us to be our loyal companions. Shelters are supposed to be safe havens for pets in need. Since there are enough homes for all of them, I believe we are obligated to get them there. 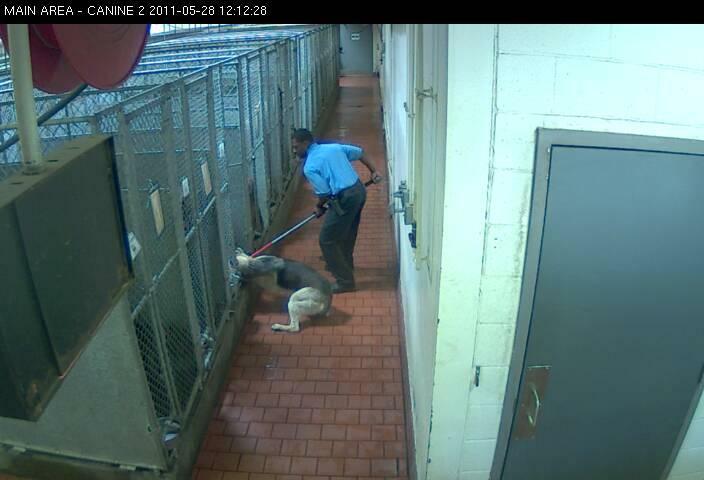 And no one – not any shelter director, or staff member or politician – has the right to take away their lives. MAS, you have no right. 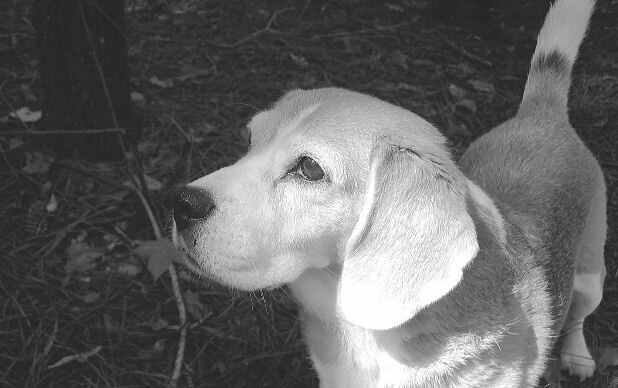 Tonight, I am lighting a candle for this dog, and for all the other friendly pets killed at MAS. You were faithful to the end and I am resolved to be faithful to your memory. To the end. Memphis, please – stop the killing. 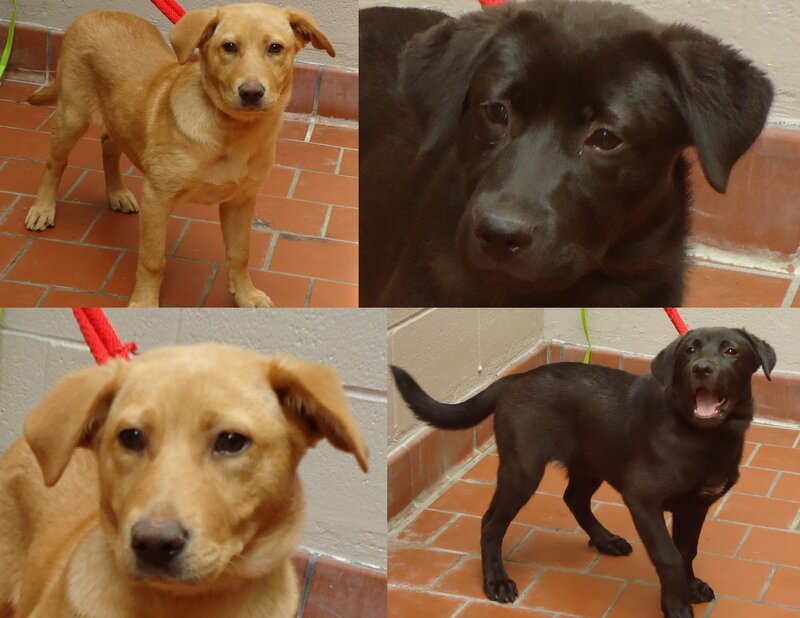 Many of you have asked about the three dogs featured as Shelter Pets of the Day on May 23. I have been trying to get some definitive information but so far, no luck. I heard the 3 dogs had been pulled by local rescuers but I’m still hoping to get some details to share with everyone. Lastly, a reminder that we are holding a candlelight vigil for the pets at MAS at 8pm tonight but you can participate anytime that works for you. I will be putting up a post shortly specifically for the event. They are litter mates. They were owner-surrenders, together, and I think in mid-April. The last week of April they started coughing-Marley, the brown one more than Joy, the black one. I volunteer at MAS and offered to foster up to 2 dogs if all the dogs with URI symptoms could not be adopted. I went and got these two I think on the 28th. We did a second worming at my vet, and got them on antibiotics. They stayed with me at my house, separated from my own dogs, for 2 weeks, and their symptoms cleared up completely. They are ready to be sterilized and adopted. They look to be mostly lab. They were completely house-trained by the time they were well-they never had an accident in the house. They sleep through the night, they are loving, sweet, fun dogs. Marley is much more timid than Joy, and would love to find a home together, but two loving homes would be fine, too. Their shelter numbers are 224882 and 224883. If there is a lab rescue, or someone who just wants two wonderful female pups, they are ideal. They will be sterilized, immunized, and micro-chipped before they go home. I’d love to see them placed-they have been there a month or more.